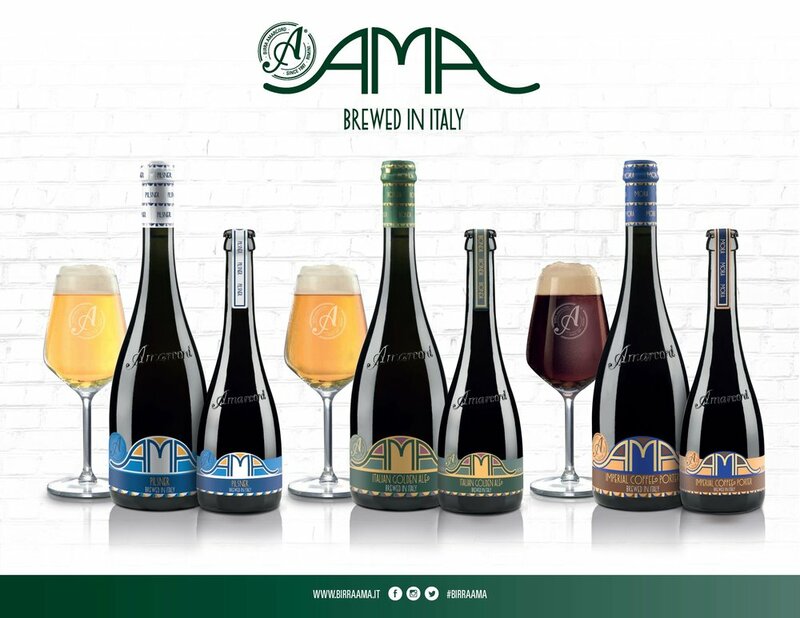 AMA is a transatlantic brewing project that carries the signature of the Amarcord Brewery. A brand that was inspired from a meeting in New York between Birra Amarcord, Garrett Oliver, (Brooklyn Brewery Brewmaster) and the internationally famous designer Milton Glaser, creator of the “I love NY” logo. The AMA brand is an elegant collection of beers, rich, fragrant and balanced. A message of love from the land of Romagna. Gourmet inspired AMA was developed to accompany Italian food. Hints of golden yellow, the head is white and creamy. Floral and grassy bouquet. Fresh and elegant, in the mouth the grassy notes come to the fore front. In this unfiltered Pilsner hops are the real soul of the beer, and the use of noble hops in particular plays a key role. Bright gold in color, with a compact foamy head. Fruity and floral notes from the use of orange-blossom honey and slow refermentation in the bottle. Great elegance, harmony and balance on the palate. Every sip finishes with the tang of hops, with the invitation to continue the experience.